Well… I am not going to write about everything I did, rather I am going to write about what I can remember. 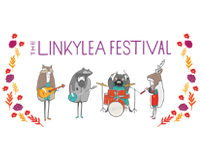 Linkylea is a small boutique festival situated for the first time this year in Coulstoun Estate, near Haddington. It has been running for about nine years and it’s a charity festival with all the profits going to disadvantaged children and young adults in Gwalior, India – so far it has raised around £35000. Its run from Friday teatime till the wee small hours, and Saturday all day till about 3am. You can camp from Friday till Sunday morning, or drop in fresh and clean for Saturday when the festival is in full swing. 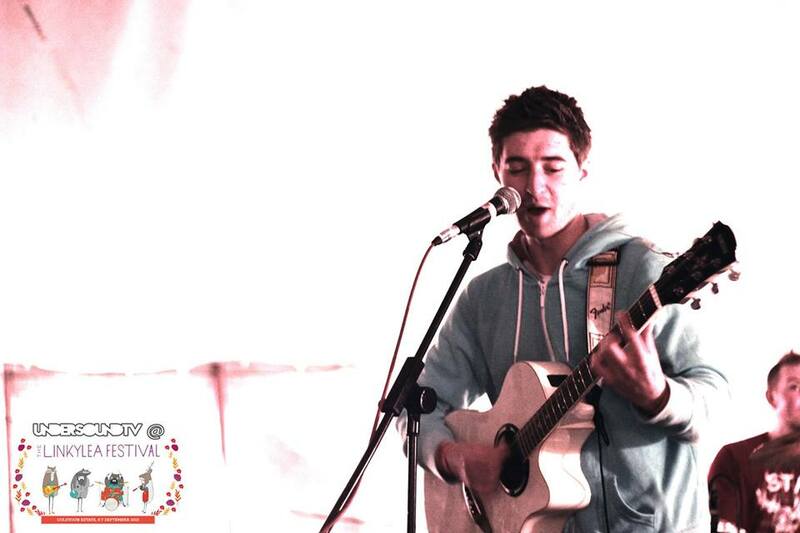 On site there are two stages for bands, a dance tent and several other activities and stalls for adults and kids. I could only make it for a couple of hours on Friday night which was a real shame, but I did catch Jamie & Shoony who were fantastic. 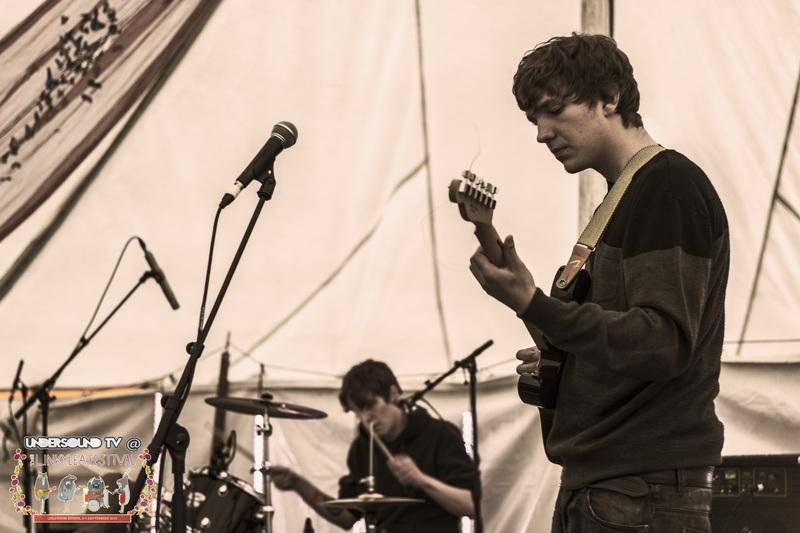 They are Radio Forth’s “one to watch” of 2012, and you can see why as they have great stage presence and some really catchy tunes. I caught up with “&” from Jamie & Shoony, who is drummer Richard Neil, and hopefully Feast will be doing some recording with these guys soon. Later on I had a wander around and caught up with a few of the bands playing on Friday and Saturday and most of them were camping despite the torrential rain on Friday night. I also popped into the dance tent and caught up with the Chappel Perilous Sound System crew who have had a busy summer supplying their humungous sound system for Linkylea, Audiosoup and Glastonbury. I was really disappointed not to the catch Battle of the Zoo later but they were on well past my bedtime. I heard they had an absolute blinder of a set. I arrived on Saturday to sunshine and I managed to stay for about 7 hours and catch so much more that Friday. I saw a few songs by Folk Rag who had some beautifully crafted songs with truly lovely vocals and harmonies from Pete and Lisalot. I chatted to David from the band and again we are looking forward to working with these guys in the future. I also had the pleasure of bumping into promoter Steven Mackay who is always great company and always involved in looking for new music. He introduced me to Georgia Gordon who has a wonderful voice and played a sweet set .If you are a sucker for singer/songwriters, Georgia is very good indeed. I couldn’t be everywhere at once and there were just too many musicians I missed. Shuna Cook got great feedback when I asked around and I look forward to hear more of her stuff when it comes out – she could be one to watch. Feast had brought a couple of bands to the festival and I cannot over-emphasize how good they both were. When Man of Moon played they created such a spell on the audience that by the end there was a crowd chant of their name. Mike and Chris are such talented song writers and musicians and Feast is really looking forward to working with them on a couple of videos and their debut E.P. which should be coming out early next year. Redolent rather honourably swapped sets with Man of Moon due to Chris having to split early. Three of the band had camped on Wet Friday but this had not dampened their spirits. By the time they came on at 7pm, they hit the ground running. I have seen them about three times and they have only played about 20 gigs. Even still, they are getting better each time. Still a wee bit shy onstage but with such great sounding tracks and skill they just keep getting better and better. I know I am a sucker for new music with strong vocals and layers of talent because that what Redolent have. The front of house mix by Brian Jones (an ex-student of Edinburgh College) was the best I have heard from these guys, and it made all their songs sound magnificent. There were so many other highlights from Linkylea but I am sorry to say I missed the Stagger Rats, the Merrylees and the Victorian Trouts which was a real shame. You can never catch all the bands you want when you go to a festival. I would like to thank so many people for making Linklylea so brawsome; Bonnie , Callum, Granny Radge, and many more, have wokered so hard to built such a cool festival. 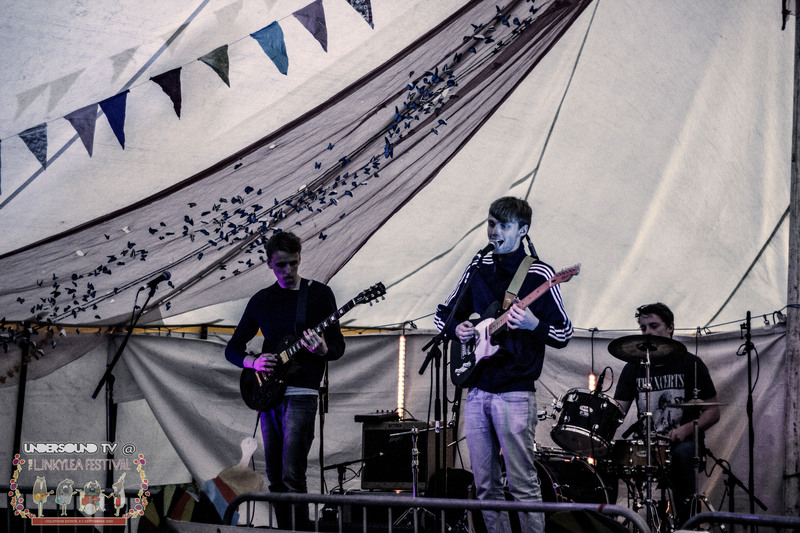 I would however like to give special thanks to all the students and ex-students from Edinburgh College who did such a good job running the sound for both tents, playing on stage, and photographing the whole thing. You know who you are and you were all great.